We all know how hard it is for paleo eaters to go out to eat. No one likes to be the annoying one at the table asking every detail about how their food is prepared. I know I really hate doing it. But whatever reason you are eating paleo for, it’s hard to find the balance between convenience and sticking to the diet. I love to cook, but I can’t cook every meal every day. It’s exhausting. And the DISHES! 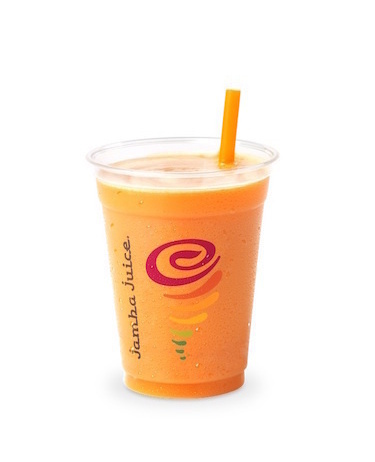 So anyways, I was super excited to find out that Jamba Juice has a new line of Fresh Squeezed Juices available! I have always loved Jamba Juice. Sure they have their all fruit smoothies, but if you want to be really careful and get the most punch out of your juice, cold-pressed is the way to go. These juices are preservative free, cold-pressed, paleo-friendly, and completely, 100% juice. Yum! So, paleo friends, you are in luck! The perfect on the go snack, pick me up, or quick breakfast is here, and I’m gonna tell you all about it. PLUS- there is a giveaway included in this post, so make sure you read all the way to the bottom to find out how to enter! I went to our local Jamba to try out the new juices. When I got there, I was overwhelmed with flavor choices. Lars and I took about 5 minutes and let 2 groups of people pass us in line trying to figure out what juices we wanted. I wanted to try them all. Orange Reviver: Oranges, apples, bananas, beets, and chia seeds. Hello extra fiber and deliciousness! Carrot Cayenne: Carrots. apples. ginger. cayenne pepper. For spice lovers like me, this was extra tempting. 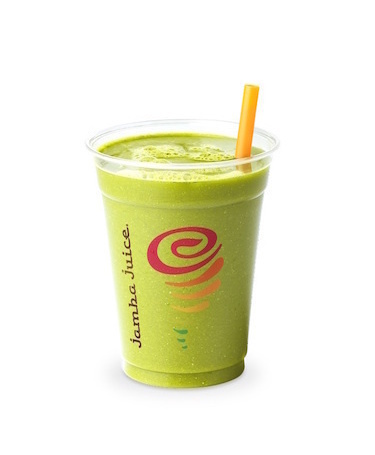 Kale Orange Power: Fresh orange juice, kale and bananas. All the yum of orange with all the super-goodness of kale. 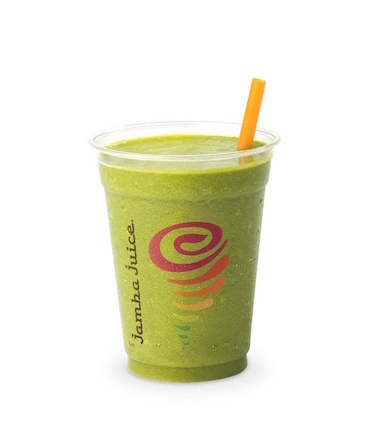 Tropical Greens: Apples, pineapples, supergreens, and chia seeds. Another superfood friendly treat. Orange Berry Antioxidant (Fresh Orange Juice, Frozen Strawberries, Frozen Blueberries) and Triple Revitalizer (Fresh Orange Juice, Fresh Carrot Juice, Bananas). Lars tried the Orange Berry Antioxidant and I tried the Triple Revitalizer. Cheers! I gotta say, these were every bit as good as we expected. The cashier told us we would have to wait a bit longer as the juices were fresh pressed. I did not have a problem with this. We got to see the juices in action in the juicer, and then blended together. So I can vouch that they are definitely fresh. And fabulous. The Orange Berry Antioxidant was super sweet and also a little bit tart. It was basically dessert. It was thicker than I usually think of juice being. The Triple Revitalizer was just the perfect level of sweetness for me. The carrots balanced out the orange and banana. And it was much more juice-like. We tasted each others but both decided we liked our own best, so it worked out really well. I can say that I am definitely a fan of these juices! And as I’m writing this post, I am thinking about how I can find the time to make it back to Jamba to try more flavors. Seriously. And if you want to try them too, make sure to Find Your Closest Store. The giveaway is now closed. Congratulations to Denise! Orange Berry Antioxidant is my personal favorite. Very sweet and delicious! I want to try Citrus Kick. Kale Orange Power sounds amazing. I want to try Kale Orange Power! But I would add a dash of cayenne pepper to heat it up! I would like to try Veggie Harvest the most! I would like to try the Tropical Greens. I have vitamin deficiency issues after gastric bypass and potassium is my biggest problem keeping at normal levels, even with taking medication. I love bananas and pineapple for their high potassium levels, but having a different taste option would be fabulous. Kale orange power sounds good too! I’d like to try the Orange Reviver. Thanks for the giveaway! Dying to try the Tropical Greens!!! I’d like to try the orange berry. I would like to try veggie harvest.